It's 1940. After the invasion of France by Nazi Germany, about 400,000 British and Allied soldiers have retreated to the seaside city of Dunkirk on the coastlines of Northern France. Surrounded by the merciless German army, they have no other choice than to try and get back to Britain by boat. The second perspective is that of a private boat, which sails from England to Dunkirk to pick up British soldiers on the orders of the Royal Navy. The boat is navigated by Mr. Dawson (Mark Rylance) who takes along his son Peter (Tom Glynn‐Carney) and teenager George (Barry Keoghan). On the way to Dunkirk, they pick up a shell‐shocked soldier (Cillian Murphy), who is the sole surviver of a German U‐Boot attack. The third and final perspective is that of three British Royal Air Force pilots (one of them is Tom Hardy), who try to shoot down as many German enemy planes as possible. Throughout the film, the perspective switches between land, air and sea in a non‐linear order. Although I sometimes found it difficult to follow the chronology of events, I thought that this technique was great to add suspense. Scenes were usually cut when the suspense was at its highest and you really wanted to know how the storyline would continue. Advanced camera technology almost made me feel like I really was "part of the action", especially during the plane air scenes. 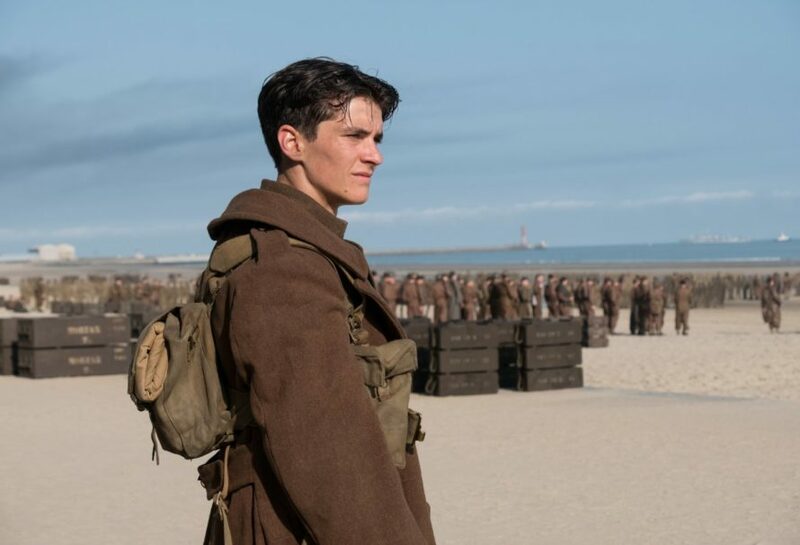 The film was mostly filmed at Dunkirk, France – the original location of the real historical evacuation in 1940. However, at the time of shooting, the weather was worse than in 1940. Director Christopher Nolan has said that this helped to understand the danger faced by the little ships, which were called in for help to evacuate the soldiers. Other film locations for Dunkirk included Urk and the IJsselmeer lake in the Netherlands, Swanage and Weymouth in England, as well as Los Angeles, USA. It might be a sightly unusual destination for a film‐inspired trip, but all the more important to remember the fallen men and the horrors of World War 2, which will hopefully never repeat again. Perhaps you also have a personal connection because one of your family members was part of the actual historical events. 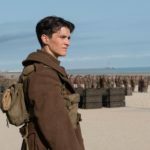 If you like to explore the area yourself, this website has some great tips for a film‐inspired trip to Dunkirk. Some "acting veterans" such as Tom Hardy are joined by "fresh faces" such as British acting newcomer Fionn Whitehead. The young cast also includes Aneurin Barnard (who you might recognize from his role as Richard III in The White Queen) and the former One Direction boyband singer Harry Styles, who secured his first role in a feature film after auditioning against hundreds of other candidates. Nolan has emphasized on several occasions that Dunkirk is not a "war film". There is neither a love story nor an action hero. It's just a bunch of young boys trying to "get out". Furthermore, the dialogue is very limited. All of these aspects plus the fact that the story is told from three different perspectives (land, sea and air) make Dunkirk shockingly realistic. This is how it would have been in real life and as a viewer, you really get that. Today, it's unbelievable to think about what horrors these men had to endure… and as a German I would like to add that this was the case on both sides of the enemy lines. Let's not forget that the German people lived under a very, very harsh dictatorship at the time and most German soldiers did not have a choice to fight or not to fight in this war. "Go to war or get shot" – it was usually as "simple" as that. I do prefer a "war drama" with a love story, such as Pearl Harbour. But as with all war films, I think it's super important to constantly remind ourselves what went on back then in order for something so horrible and terrible never to happen again. Although it was refreshing to learn about the history of Dunkirk from these three unusual perspectives, the film didn't blow me away. Nevertheless, Dunkirk is a very important history lesson and therefore a must‐see! For more brilliantly done "anti war movies", check out this post of my personal Top 5 Most Powerful Anti‐War Movies! Dunkirk is at the cinemas now! Although it was refreshing to learn about the history of Dunkirk from these three unusual perspectives, the film didn't blow me away. Nevertheless, Dunkirk is a very important history lesson and therefore a must-see!